Comic book = tragedy + time? 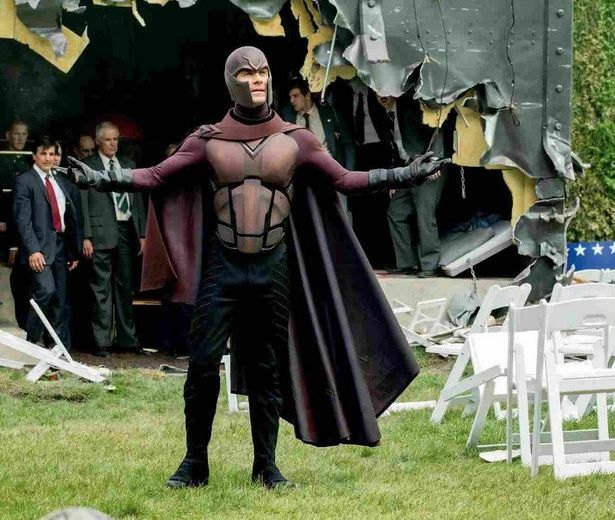 There’s a scene roughly halfway into X-Men: Days of Future Past that is a great example of CGI used to do a setpiece scene that is witty, exhilarating and tells us something about the character involved. It is definitely one of the best standout scenes in all the X-Men films and a contender for the top spot. It also sadly highlights how perfunctory the rest of the film is – it’d stand out even in a good X-Men movie, but in a humdrum one it’s almost sad to see. I was prepared to like Days of Future Past. I’d had a tiring day and was looking forward to some action and excitement with charm and likeable characters. While Marvel’s mutant chronicles aren’t at the top of my list of favourite superhero movies, it’s usually been fun visiting with Professor X, Magneto, Wolverine and the gang, not least because of the cast these films have. When has it ever not been enjoyable watching Patrick Stewart and Ian McKellen playing off of each other? I was also a surprise fan of First Class, which, while still a disposable popcorn movie, upped the charm and personality with the likes of James McAvoy and Michael Fassbender. McAvoy can be too smug by half, but in the right role he is charming – and Fassbender is one of the most interesting actors of his generation, capable of immense charm too but always with an intensity coiled just underneath the surface, ready to explode. In First Class, he took a character we’d seen many times before and made him scary, something that McKellen’s Magneto, for all of McKellen’s acting chops, had never been. You’d think that Days of Future Past would have it made: not just those crazy kids Stewart and McKellen, but also McAvoy, Fassbender – and, as a trump up their sleeve, Peter Dinklage. Has there ever been more personality, charm and charisma in a superhero movie that didn’t star Robert Downey Jr.? However, charm is worth little with a script as leaden as that of Days of Future Past. The plot would be fine – it’s overblown and complicated-yet-simple in the way that superhero stories often are, but that can work well enough – but the dialogues are dull, clunky and preachy. There’s always been the latter element to X-Men, but usually they made it work (as in X-Men 2‘s “Have you ever tried not being a mutant?” scene), but in the latest film in the series it never feels like there’s much of an underlying reality to be preachy about. The result of anti-mutant bigotry in Days of Future Past is one of those generic, bland yet tacky post-apocalyptic scenarios that feels like bargain-store Terminator. The executors of this future, the Sentinels that apparently are a mainstay of the comic books, are ominous enough in their design and animation, but watching them kill their way through a bunch of C-list mutants that we haven’t established any relationship with feels utterly empty. 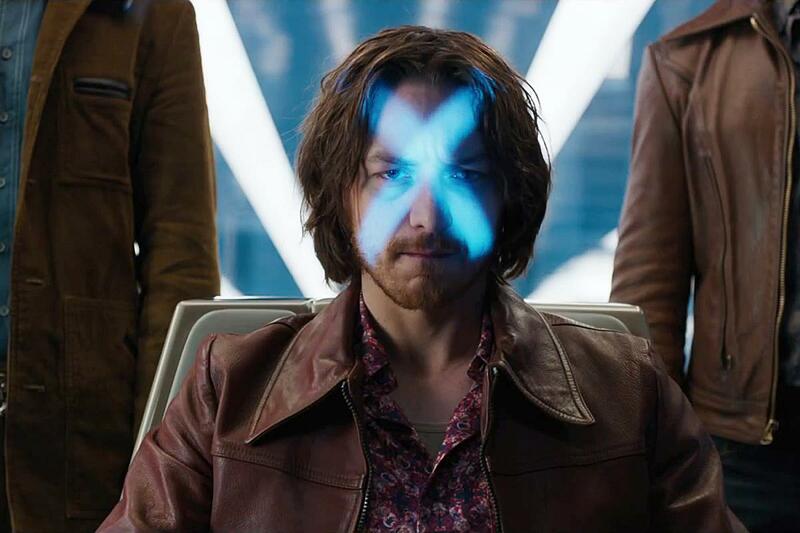 As the film’s subtitle suggests, Days of Future Past uses that most overused of sci-fi tropes, time travel, and soon we’ve got Wolverine in the funky ’70s. That should make for a sense of personality, no? Sadly, that’s exactly the answer: no. The film does pick up somewhat, but a number of decisions by the writers that could be interesting work against the film: young Professor Xavier, played by McAvoy, is deep in a depression, Fassbender’s Magneto has lost the intensity that was constantly lurking under the surface in First Class – and Wolverine has become the most balanced, mature character on the screen. Yes, he still has a number of fights and quips, but they’re subdued. All of these could work as character development, but they don’t: Wolverine comes across more as apathetic than as reasonable, Professor X is dreary much of the time, and Fassbender tries to imitate McKellen, which may work in a talkshow but doesn’t work for the character – Fassbender and McKellen both have very different energies and performing styles, and neither the script, the director nor the performer manage to make Days of Future Past‘s Magneto into a very interesting missing link between the young Erik Lehnsherr and the old one. And Peter Dinklage, that master of smart snark? It’s nice that his role is not just a different take on, say, Tyrion Lannister, only in a suit and with a moustache, nor is he cast in any way for his stature, which is commendable. However, his part is underwritten and lacking in personality, making one of the main antagonists of the film pretty much a non-entity. There’s also the usually reliable Jennifer Lawrence, and her performance is fine, making her the one character who’s visibly got a stake in the events of the film, but there’s little here that we haven’t seen in First Class, making her scenes suffer due to diminishing returns. I won’t fault any of the actors: to my mind, it’s clearly the script that is lacking. The characters are written so flatly that they practically rely on audiences bringing their feelings based on the earlier films and the comics to the table – which means that Days of Future Past may work for the fans who care deeply about Wolverine & Co, but other than that there’s little here that is engaging. It’s not the inherent silliness of the proceedings, nor is it the seriousness that the real-world context and doom’n’gloom of the scenes set in the post-apocalypse try to invest the film with: both of these can work, as they did in, say, Iron Man (which embraces the silly, adolescent energy that superhero comics can have) or The Dark Knight (which makes the grimdark grittiness work). What this film needs is someone with the skills of a Joss Whedon at writing the self-awarely operatic dialogues that the most enjoyable superhero comics have, at balancing the grandiose and the intimate, at injecting much-needed personality and wit. There’s little of that to be found in Days of Future Past, and the wittiest scene is the aforementioned CGI setpiece that works entirely without dialogue. As it is, I’ve never been enthusiastic about the X-Men films. I’ve liked a number of them well enough. However, in principle I could be a fan; I very much love Whedon’s Astonishing X-Men arc, and while his own contribution to the X-Men movies hasn’t exactly been great, someone with his sensitivities could make a huge difference to the films. I hear that Brian K. Vaughan is done working on the Under the Dome TV series – perhaps he could take the potential in this big, crazy, dysfunctional family of mutants and misfits and make their dialogue crackle with wit and energy? In any case, I hope that the makers of X-Men: Apocalypse watch the “Time in a Bottle” scene and understand why it sparkles, while too much of the rest of the film is dull.